One sure fire way to make your WordPress site stand out from its competitors, is to be different. And if you can be different by using a technique that is already very familiar, then it can be a win-win situation. Presenting your WordPress posts as a Facebook-style timeline is one such situation. In this article we’ll walk-through how to implement a timeline on your WordPress site using the recently released Timeline Pro plugin. Regardless of what you think about Facebook, it’s interface and approach to user interaction is both understood and instantly familiar to the vast majority of your potential audience. Leveraging this familiarity immediately makes your visitors feel at home with the obvious potential knock-on effects of deeper and more lasting engagement. 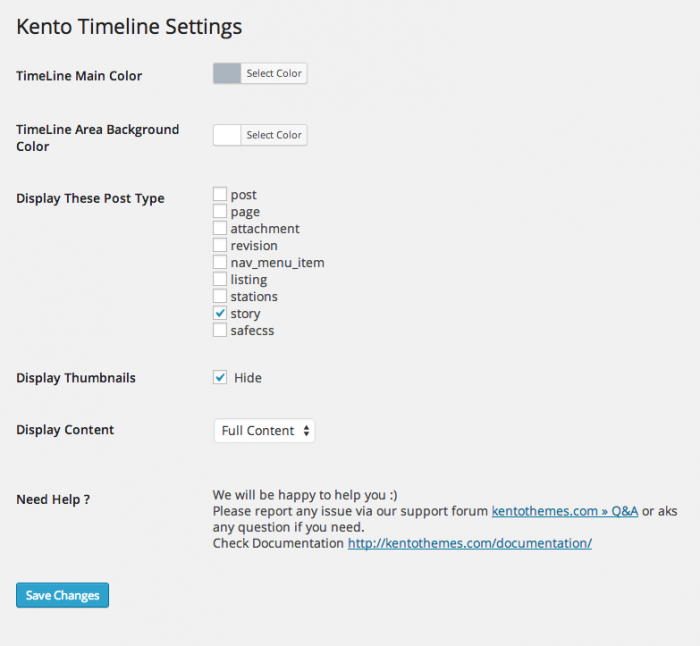 The good news is that implementing a Facebook-style timeline for your WordPress posts is a simple 3 step process, thanks, mainly, to the Timeline Pro plugin from Kento Themes. It turned out that installing the WP Test data on a test site in order to test the plugin for this article was an unintentional master stroke as the plugin is not without its bugs and I’ll go through how to fix these. Suffice to say, plugin developers and indeed anyone building a site, would be well-advised to make sure they test their creations with data that is as comprehensive as WP Test’s. If you are just wanting to play with Timeline Pro, then I would fully recommend using WP Test’s data. You’ll also need to install the Slim Jetpack plugin and enable Tiled Galleries. As I mentioned above, there are a couple of bugs in version 1.0 of this plugin, so you can either download this version and make the updates detailed later in the article, or you can download an updated version. With a bit of luck, Kento Themes will be able to update their official version soon. The plugin creates a new Admin menu item, Timeline Pro Settings. Clicking on this item allows you to set the default settings for how the timeline is displayed. Why go for anything else other than full content? The colors and post-type can actually be overridden by the shortcode but displaying thumbnails and whether to show just the excerpt or the full content are global (which is a shame – being able to control all options on the shortcode would be preferable). I would recommend for displaying the full content. With comment display and replying being handled inline using AJAX, displaying the full content would mean never having to leave that one page and that feels far more satisfying an user experience. Select your preferences and click on Save Changes. This will generate the timeline. Incidentally, sticky posts are honored and are, in fact, displayed full-width at the top of the timeline. If you want to use the timeline as your homepage (and effectively have a 1 page site) then jump into Settings > Reading and set Front page displays to a static page and then select your timeline page. Mostly, the plugin works just as expected and has excellent support for comments (inline display and replying) and inline loading of earlier posts. There are, however, just a couple of bugs that need addressing for it to be completely usable. As I mentioned, I’ve already made these changes to this version of the plugin but I’ve documented the changes here for the sake of completeness. A minor tweak to prevent the comment count wrapping. This was only happening on Chrome on OS X. The way the CSS is currently written means that any lists in the actual posts take on the styling for the timeline list itself – not what we want. The post content is output using the WordPress function get_the_content(). Unfortunately, this means that shortcodes will not be processed and will be displayed in their raw form. For some reason that I’m not quite sure about (if anyone knows why then please let me know in the comments), using the apply_filters function for pages causes an infinite loop, hence the check to only apply filters if not a page. I’ve tested using a custom post type and that appears to work as expected. A single-page website with access to all your posts via a mechanism that is familiar to the vast majority of users. Could your website benefit from such an approach? adjust arrows/padding accordingly. should work like a charm. One shoud use “min-width” for responsive design. This way the styles for mobile browsers are first found and that saves loading time and money for the user. The desktop first apporach lets the mobile browser go through all the tyles for larger devices before it reaches the syles meant for mobile. something i have tried to avoid CSS media query here and used wp_is_mobile() and it will add a class stic to post list items will become full width much similar to sticky post on timeline and v-line positioned at middle also arrow at the top. Thanks so much nur_hasan, for a great plugin, and the advice..saves me from fiddling about ;) i only later noticed the “stic” class ;) that works great ! is there any possibility the comments drop-down can be made to allow replying from the timeline without going to the post ? This looks great but unfortunately I get PHP errors which I guess means a plugin or theme conflict. Ah well. I was thinking though that I’d quite like to set up a timeline for my own news items. One way to do that would be to set up a sub-domain with it’s own WordPress install and import my news category RSS feed (so that it auto-updates). I’m interested in thoughts on this as an idea and whether anyone has plugin recommendations to deal with the RSS feed at the sub-domain (in addition to this one to display the truncated posts it creates). I’m only a hobby blogger. Really great thanks to see full review about my plugin. And really appreciate code fixes and CSS update, will update soon with next version of this plugin. I am newborn plugin developer just start digging about WP plugins so any feedback and contribute much appreciate. I like this plugin alot and think it can become perfect.